It’s no surprise that the loss of a loved one, a divorce, or a breakup with a partner can be heartbreaking for you. 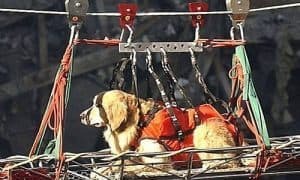 But, the life-altering event that’s flipped your world on its side could be equally stressful, confusing, and heartbreaking for your four-legged family. 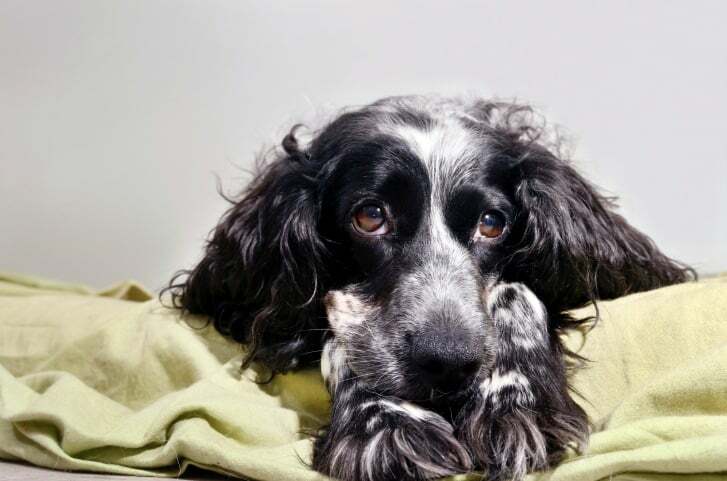 Bestselling author Kristin von Kreisler explains how to tell if your dog is suffering from your broken heart and how you can help her through it, while at the same time allowing her to help you heal. 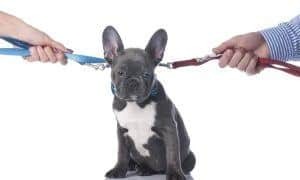 Your divorce or breakup with a live-in partner may be as hard on your dog as it is on you. The disruption can turn her world upside down, and she might feel depressed, anxious, and insecure. That’s why it’s crucial to notice how she could be telling you that your split has taken an emotional toll. If you read the signals, you can help her. 1. Clinging to you. After her divorce Melissa Gaskill’s pit bull mutt, Max, didn’t like to be left alone. When she came home, he stuck to her like glue and seemed to beg, “Please, don’t go away again!” Because he’d lost his sense of safety, she spent extra time with him. She played with him and kept him with her while she worked in her home office. 2. New fears. A dog whose life has significantly changed may startle easily or cower at things that never bothered her before, such as thunder, strangers, even shadows. Once you recognize the triggers, if possible try to avoid them. When she’s anxious, be patient, and comfort or distract her. 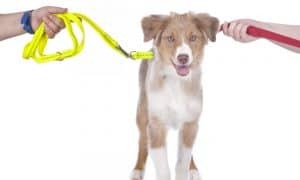 If her fearful reaction is extreme, contact a veterinarian or dog behaviorist. 3. Loss of appetite. Your chowhound may express his upset at your split by sniffing his kibble and walking away. 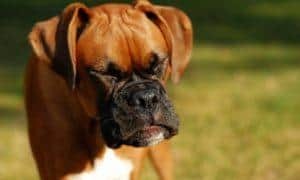 According to Kingston, Washington veterinarian Rachel Strohlmeyer, if your dog eats “the good stuff,” but rejects his usual fare, you’ll know that his disinterest in food is emotional, not physical. 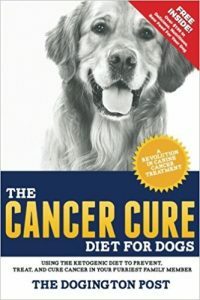 But, she warns, “You don’t want your dog to get too thin.” If the fast continues, see a vet. 4. Moping. 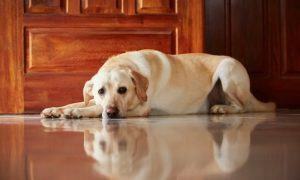 If your dog lies around looking dejected, she may be letting you know that she misses your ex or her once secure life. Or if you’re depressed about the breakup, in a process called “attunement” she may have picked up your feelings and gotten depressed herself. Counter the pining with frequent walks and games of fetch. Allow your ex to spend time with your dog. If you’ve split up two pets, let them visit each other. 5. Destructive behavior. In a time of loss and change, a dog can bark more or become aggressive toward other dogs. He may chew furniture, claw doors, or lick himself raw. Determine if a specific stress prompts the bad behavior, and avoid it if you can. For example, if your dog decimates your slippers when you leave home, consider crate training. Generally, the antidote to any sign of your dog’s stress is attention. And more attention. Give her all you can spare. 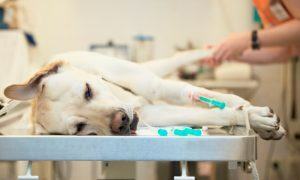 Has your dog ever shown signs of stress or symptoms of a broken heart after a big change in your life? Tell us about it in a comment below! 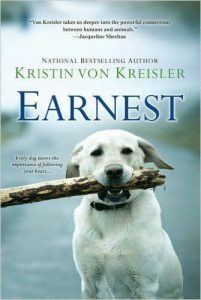 And, don’t miss Earnest, the newest novel from national bestselling author, Kristin von Kreisler! Earnest is a big hearted, utterly charming, and compelling story that chronicles the break-up of a young couple and what happens with their beloved adopted yellow Labrador as they both fight for custody of him. Ms. von Kreisler shows, through the wisdom of a dog, what matters most in life. Kristin von Kreisler was born on October 4, the feast day of St. Francis of Assisi. All her life she has loved and rescued animals. She has written bestselling books about them and has spoken about their welfare on Coast to Coast to 560 U.S. cities and on the Voice of America to 123 million people. Before writing books, Kristin freelanced for magazines and newspapers. Kristin’s articles have appeared in anthologies and textbooks and in the Washington Post, Christian Science Monitor, Los Angeles Times, Woman’s Day, Family Circle, Ladies’ Home Journal, and Reader’s Digest, where she was a staff writer. She has taught English at the University of Hawaii and journalism at California State University at San Jose. Kristin lives on an island in Washington with her husband, John, and their German shepherd, Bridget. 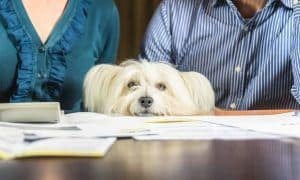 Who Keeps the Dog in a Divorce? My young chihuahua was very bonded with our cat Stella. Stella passed away unexpectedly. Our dog was not present. She came home and her feline friend was just gone. She now keeps her tail low for the lost part will look for her kitty. Just seems very sad. I’m praying she gets back to herself soon. It’s terribly sad to see. I want my baby happy again. We just lost one of our pits Saturday morning after she suffered a heart attack. Now my other one is so depressed he actually had tears in his eyes this morning. He still wants to play and we are giving him so much love but he keeps looking for her. Has your baby cheered up? I had a malamute and a German Shepherd. My malamute died unexpectedly at 12½ and the German Shepherd was distraught. He would howl when I was at work. When I got my malamute’s ashes back, I opened the box and let him smell them. I told him that it was her, and that she was gone and wasn’t coming back. After he sniffed the ashes, he didn’t howl any more. It was pretty amazing.